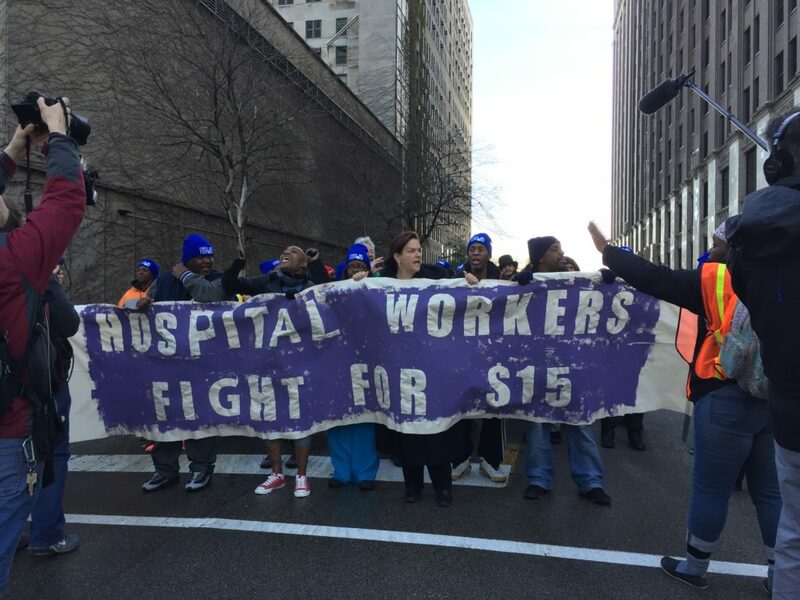 Members at Northwestern Memorial Hospital have been campaigning for over a year to hold the health system accountable to workers—by fighting for a $15 minimum wage, 15% raises and more accountability to our communities. Members waged an aggressive campaign that exposed Northwestern’s misplaced priorities while pushing for higher wages and an end to the wage gap between junior and senior employees. 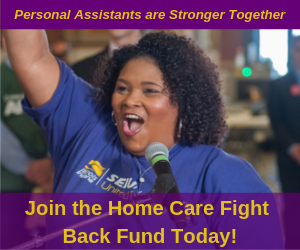 The Contract Action Team collected petitions, marched on the boss, and hosted a rally in a rainstorm, and we won! The contract was ratified by nearly 90% of the bargaining unit and included: new minimum rates starting at $14 an hour by the year 2019, having all current employees making over $15 by 2019 and all senior employees receiving raises and bonuses equal to 15% over the next three years! Members knew that Northwestern, which raked in nearly a billion dollars in profits the previous year, could afford to do better by workers and our communities—and by taking action together, they’ve won a contract making the healthcare giant do just that. This article originally appeared in the our Summer 2017 union-wide newsletter: Voices United (Volume 9, Issue I).